A child’s risk of obesity as they grow up can be influenced by modifications to their DNA prior to birth, a new University of Southampton study has shown. These changes, known as epigenetic modifications, control the activity of our genes without changing the actual DNA sequence. One of the main epigenetic modifications is DNA methylation, which plays a key role in embryonic development and the formation of different cell types, regulating when and where genes are switched on. Although DNA methylation was originally thought to be a very stable modification, which once established in early life was then maintained throughout the life span of an individual, there is now growing evidence that the level of DNA methylation can be affected by a range of environmental factors such as parental health, diet and lifestyle. Researchers from the University of Southampton, as part of the EpiGen Global Consortium, analysed the levels of DNA methylation in umbilical cord tissue of babies born in the Southampton Women’s Survey. They compared DNA methylation levels present at birth with the amount of fat tissue in the child at four and six years of age. 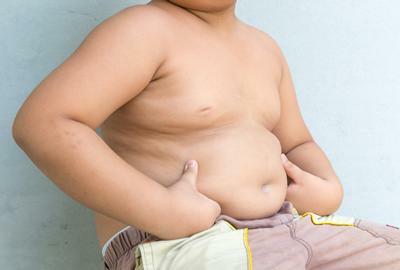 They found that lower DNA methylation at the CDKN2A gene, which regulates the production of fat cells, was associated with a greater risk of the child developing obesity in later life. Analysis showed that a 10 per cent decrease in methylation at the CDKN2A gene was associated with an increase in fat mass of around 220g, at age four years. The results, published in EBio Medicine, were replicated in other groups of children and adults, notably the Singapore GUSTO study, the Australian RAINE study and the UK BIOCLAIMS cohort. The EpiGen Global Consortium brings together expertise from the Human Development and Health Academic Unit, MRC Lifecourse Epidemiology Unit and Centre for Biological Sciences, University of Southampton; Singapore Institute for Clinical Sciences; National University of Singapore; Auckland UniServices Limited and the Liggins Institute, University of Auckland. The Consortium’s aim is to improve human health through the life course by further understanding developmental and environmental processes. The research includes a focus on epigenetics, the biology of understanding how gene function is regulated by environmental factors, such as maternal nutrition, during the very early stages of development. This research was carried out as part of a collaboration with the Nestlé Research Centre, in Lausanne, Switzerland.